Nowadays, everyone is using social media to grow their businesses. This is something that you should be doing too. However, in a world of information overload, there seems to be no clear instructions about how to begin. 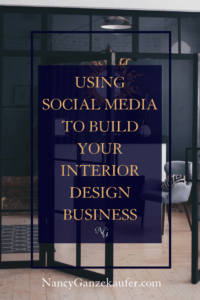 So, my goal with this post is to simply show you, how an Interior Designer can start a business by using social media to gain potential clients! 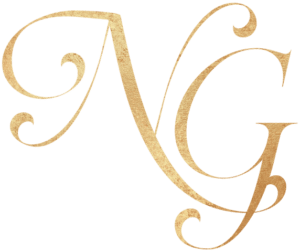 As your interior design business coach, you know I am always looking to give you the best business tools! Before starting on social media, you should know about your social media marketing goals. Think about what you really want to achieve. Social media can play a great role in getting new clients and establishing your business as a leader in the industry. 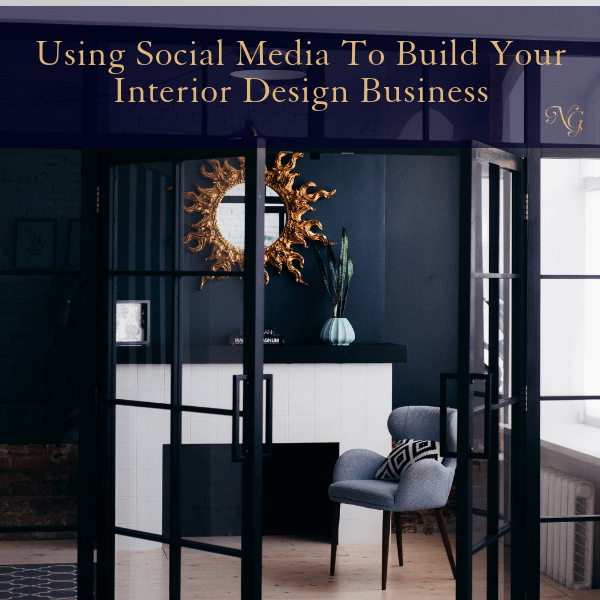 Social media helps fulfill an Interior Designer’s goals of driving sales, engaging with a larger audience, finding new leads and increasing brand awareness. Keep your goals in mind while starting out on your social media marketing journey. There are a number of platforms that you could get started on and each interior designer will have his/her own preferences. With that being said, you can try them all (which I don’t recommend!) or pick a few you know you can handle or are seem drawn to naturally. Facebook: It is the most active and preferable platform for growing most businesses. If you don’t mind spending a little bit of money, there are many ad features to get your visuals and services out to a larger audience. Pinterest: It is the best platform regarding the visual content. It is basically like the google.com of images. You can post your images to attract more people. The more pictures you pin the more traffic you get. Instagram: Another great platform to share your work. Instagram has a great artisan community, it’s huge and I think interior designers fit in there so perfectly. The power in using Instagram comes when using the right hashtags for your pictures and socializing appropriately to gain followers. Houzz: Is very much like Pinterest where homeowners look for images but it’s a more professional looking platform if used well. By building your portfolio you can attract more clients. Just be careful to understand that HOUZZ terms and conditions may not be to your liking and they try to keep people on their website as opposed to sending them to yours. Add photos and images in your content as it drives more audiences and engages them to your work. Use clear and proper images of your work to showcase your skills. For a good example, check out James Chapman. He is the CEO of Bella Bathrooms and shares his story to highlight the importance of visual content in growing his business. This is a very important step to do for better marketing on social media. Be creative and yet natural in how you communicate with your audience. And of course, the basics never change like posting your content regularly, reply to your clients professionally, respond to comments, repost great designs that you think people would love, and share great content and tips. This part can be pretty exciting! Finding ways to get connected into the social media influencing circles in order to share your content and theirs can bring about regular partnerships and a larger audience! It is proven that influencers advocating any business, impact most of the people on their radar. Influencers are easy to find. Look for niche related influencers on all the social media platforms, build a relationship with them and share their content and encourage them to share yours. As you can see there are so many ways to get started (or expand) on social media. Find out which ones work the best for you. Find your method and stick with it for six to nine months to see which one is really working the best for your business! Thanks, Nancy! This is a great succinct overview of the SM platforms. Great post, Nancy! SM is a never-ending challenge, and I’m coming to terms with the fact that I will always be trying to “figure it out”. That said, your message about deciding on a few channels and sticking to them is a good one. Yes, just trying a few helps it not seem to overbearing! Great primer on getting started in the social media world. Love all of these tips! Perfect for a newbie. I am glad they were so helpful to you! Thanks Nancy, it’s time to rethink my social media strategy. You’re most welcome! Let me know if I can help you with anything!